Thomas Willis (1621-1675). Caricature of the British physician and anatomist Thomas Willis. Willis is best known for helping to found the Royal Society and discovering an interconnected ring of blood vessels at the base of the brain, now called the 'Circle of Willis'. 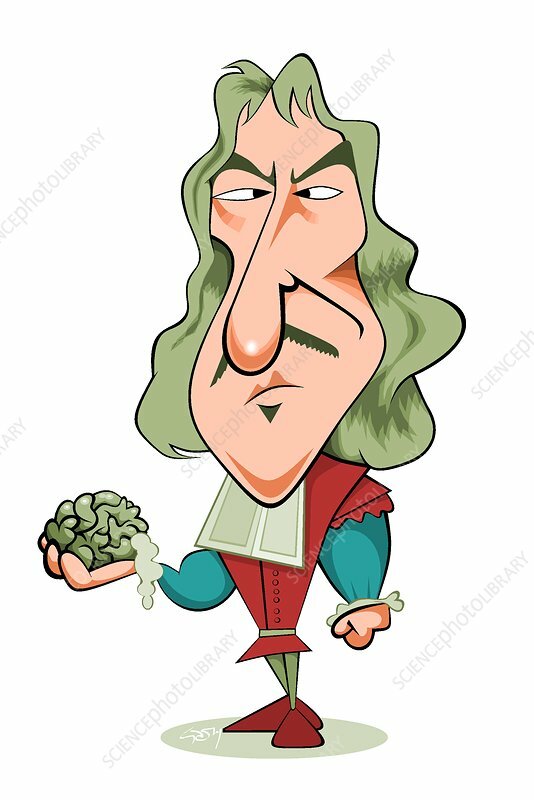 His descriptions of the first six cranial nerves concurs with modern neurology and he was the first to describe the eleventh cranial nerve. He described diabetes mellitus, advising doctors to Taste thy patient's urine. If it be sweet like honey, he will waste away, grow weak, fall into sleep and die. He discovered that asthma is caused by spasm of the bronchial muscles. He also described puerperal fever and syphilis.